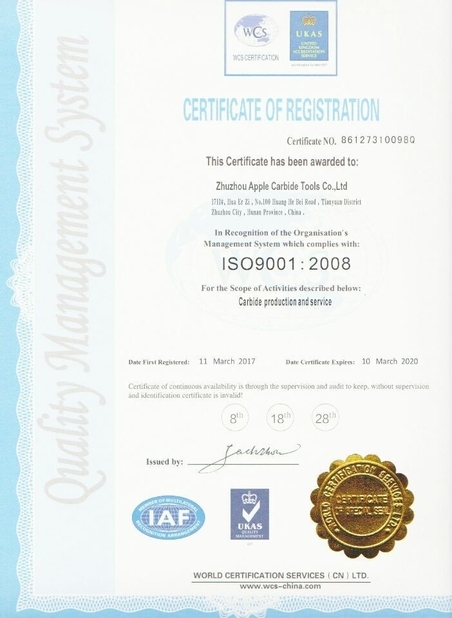 Tungsten Carbide road milling tips are used for infrastructure or the foundation engineering, mining engineering work, it is sintered by coarse grained cemented carbide, with properties of high hardness and good transverse-rupture strength , as well as corrosion resistance, resistance to acid and alkali , long service life. YG4C 15.1 1800 90 Mainly used as small button for percussion bits to cut soft and medium hard formations. 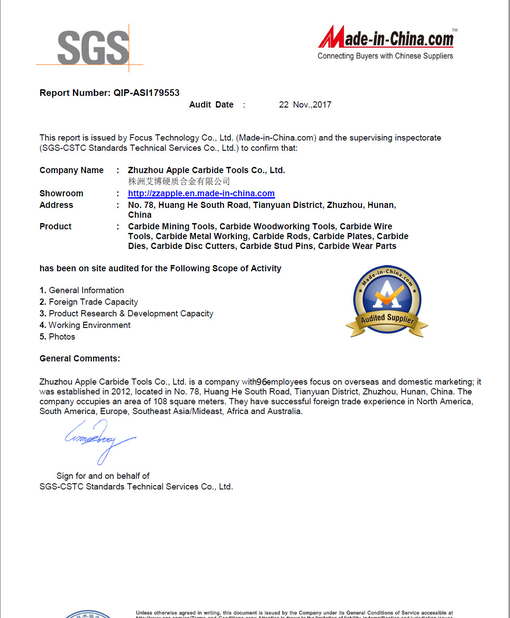 YG6 14.95 1900 90.5 For coring crowns, electric coal drill bits, coal cutting picks,oil cone bits and scraping knife bits,used in geological prospecting,coal minig and oil well boring. 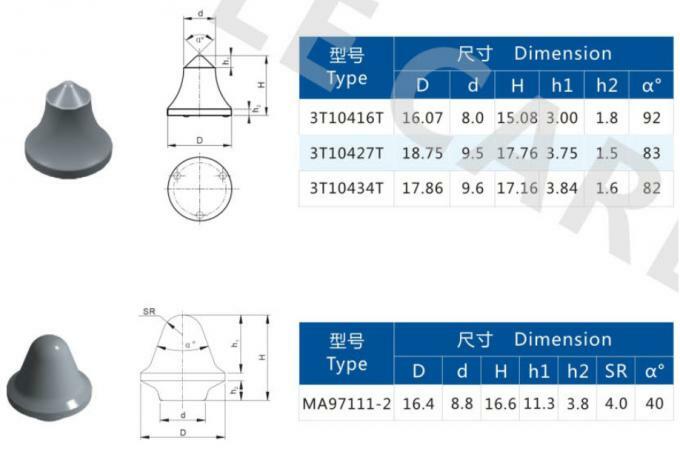 YG8 14.6-14.9 ≥1840 ≥89 Qualified for rough machining of cast iron,non-ferrous metal,non metal materials,drawing of steel,non-ferrous metal and pipes,various drills for geology use,tools for machine manufacture and wearing parts. YK05 14.95 2500 90.5 Mostly used as the buttons of small and medium sized percussion bits and so on. 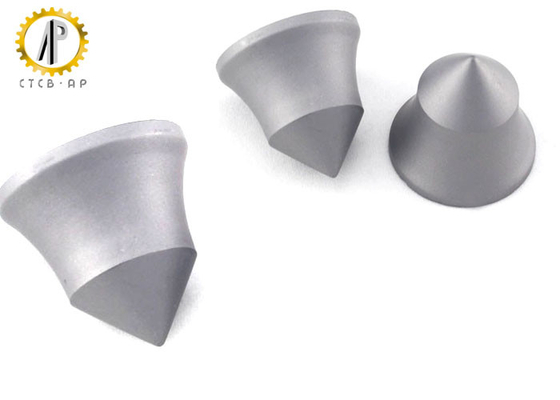 YG8C 14.8 2400 88.5 The inserts of rotary prospecting bits to cut safe and medium hard formation. 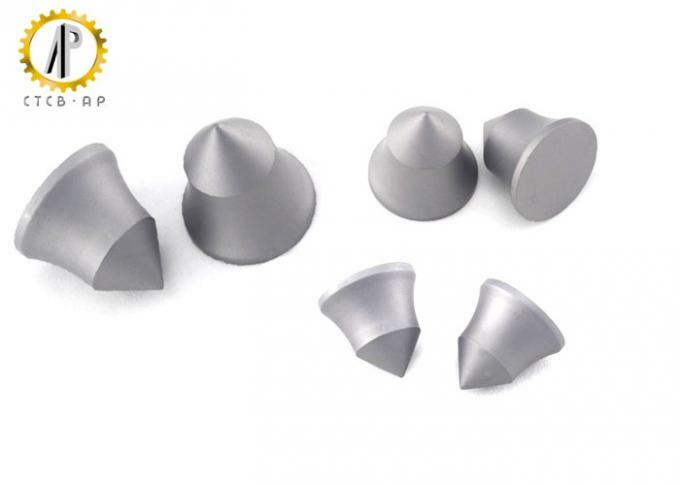 YK15 14.6 2450 87.6 Suitable to strips,conical buttons for rotary percussion-resistant,geological prospection buttons, cut soft and medium hard formation. YK20 14.4 2500 86.8 Primarily for the buttons and inserts of rotary percussion bits to cut medium-hard and very hard formations.